Navigating Britain – Scenic drives & where to find them! Our road-trip has almost come to an end but we thought it might be useful to show you some of the most scenic routes you can take. Now 4000 miles in to our journey, we have driven to almost every corner of the country. We’ve had a breakdown, experienced reckless driving with a couple of close calls and a cracked windscreen! Our road-trip has almost come to an end, so we thought it might be useful to show you some of the most scenic routes you can take. Miraculously, even in our Suzuki Wagon R with its tiny wheels we didn’t have to be pulled out of any muddy festival ditches!! We got one push at Kendal Calling from a few friends as we stopped to say hello and the car went, well, squelch. It was the rainiest festival season for a while this summer all around the UK. There were cars and campervans having to be pulled out by tractor, festivals faced being cancelled on account of the weather and as always there was a lot of festival traffic to try and manage. Certain festivals also ran car charge schemes for example at Electric Fields it cost you money to park but encouraged less cars and more people to come by bus or get a lift. Being staff you do tend to park up somewhere closer to staff camping so it’s not as busy, but we were very lucky to not have any major disasters. Even when we broke down it was next to a garage with the part we needed which was quite bizarre really! Festival No 6 – the new Park and Ride was all rainbows, sunshine and a bit of rain! You don’t have to be working a summer of festivals to enjoy the roads of Britain. There’s plenty of coastal routes to popular holiday destinations or in the middle of nowhere to enjoy! If anyone is thinking they want to take to the road in the UK next summer or at any point here is our list of the most prolific and dangerous routes to take. We’ll start with something a little more genteel and that’s a foray around Dartmoor National Park down to Newquay which lies on the west coast of Cornwall. Lush green countryside, cider farms, proper village pubs then moving onto whitewashed sandy beaches, it feels like entering another world never mind England! Exactly how it sounds, Snake Pass is a hill pass that leads from just outside Sheffield to Glossop, Derbyshire. Engineered by the revered Thomas Telford in 1821 it’s both treacherous and magical in equal measures. Steep hills, quick descents and twisting roads through rolling purple lavender hills it’s perfect for a drive on a quiet day. If you find yourself going to visit the Welsh mountains for Festival Number Six or on your hollibobs then you will most likely drive along the North Wales Expressway. It navigates around the coast and was another road built originally by Thomas Telford. 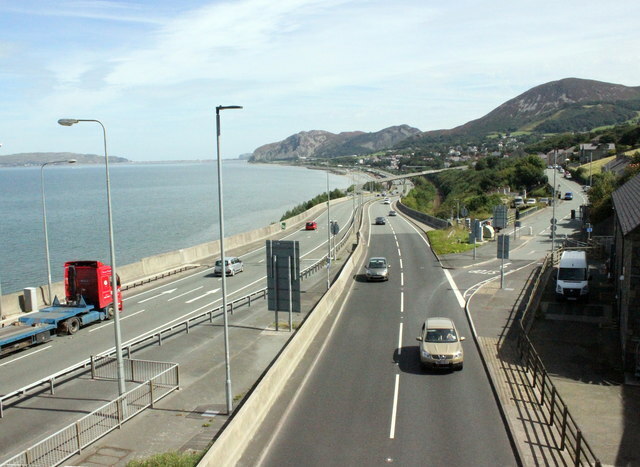 With the addition of the Conwy Tunnels in 1991 it is now a feat of modern road engineering, marrying old and new in perfect synchronization. Crashing coastal waves, castles and dramatic scenery make this the perfect entrance to a country as beautiful as Wales. 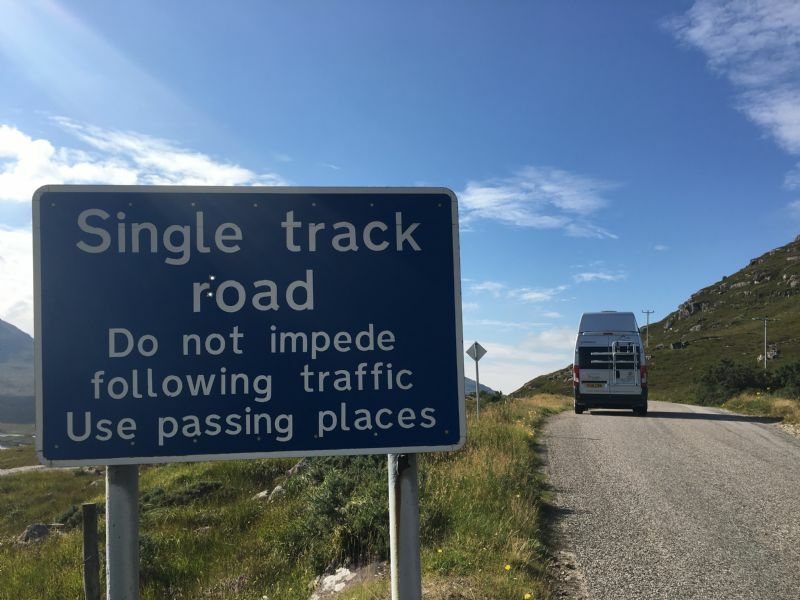 In the proper Highlands, in our temporary home in Sutherland there lies the most exciting drive of all – the coastal road through Lochinver and round to Drumbeg. Outstanding beaches, coastal towns, villages and 24 miles of single track road, put passing place into your vocabulary. It can be a very busy route in the height of the season but come out of season and you can drive for miles without seeing another car. Sheer bliss. Do stop off in Lochinver for a pie and find the courage to drive up the steep hills for unbeatable views. Lochinver, the home of the best pies in the Highlands!